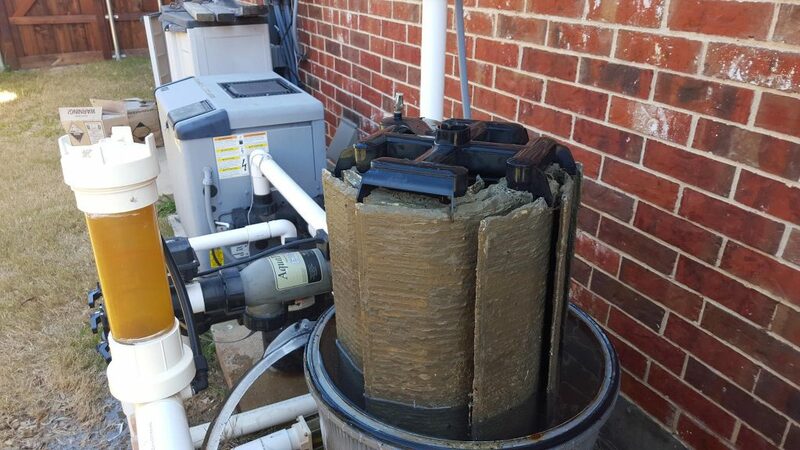 The filters are taken apart and the drain plug is pulled so water is emptied out of the tank. All the internals and tank are cleaned then put back together. Before and after photos are provided to the customer via email after the job is done.